There are various mineral definitions and they change in time. In normal language, mineral is single inorganic compound which was formed by geological processes. However there are more broad definitions which consider also organic and biogenic compounds as minerals. Some even include so called “technical” minerals which are synthetic men made compounds. More scientific definition says, that mineral is naturally occuring substance of abiotic origin (formed by geological processes). It has well defined crystalline structure (or atomic arrangement) and it is solid and stable at room temperature. Mineral is represented by single chemical formula and has certain set of physical and chemical properties. Valid mineral species are approved by International Mineralogical Association (IMA). There are some valid minerals which do not strictly fit in definition above. 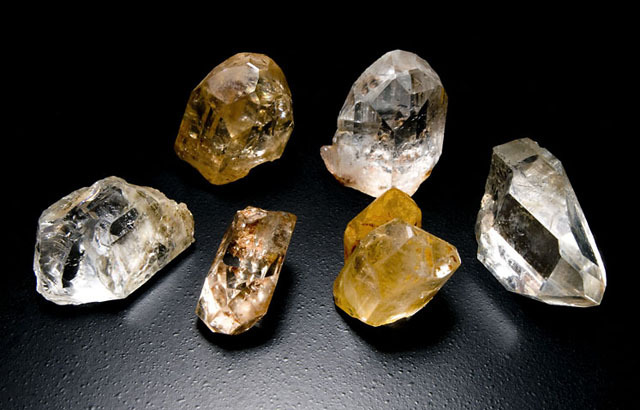 Many mineralogists argue about certain minerals or substances. Some systems include also organic minerals or minerals formed by organisms (calcite, aragonite, apatite or magnetite are common in many fauna species including humans). We also consider some liquids to be a mineral (mercury or ice are liquid at room temperature) and some minerals lack well defined structure (opal). Other uncertain species are minerals formed in the old mines or in mine tailings which are formed by men induced processes. In material science, metallurgy and technical petrology are also recognized minerals formed by various men-made processes. In mining industry also rocks and organic materials are known as mineral resources.